The Hula Lake/Valley is one of the world’s top ten important bird watching sites. 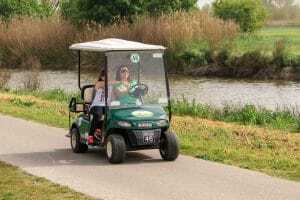 There are many tour options in the site such as sunrise tours, walking tours, bicycle tours and golf cart tours and much more.The Agamon Hula Ornithology (Bird Watching) and Nature Park, is situated in the heart of the Hula Valley. 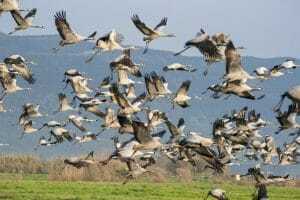 The valley bordered by mountain ranges, to east the Golan Heights and to the west the Naphtali Range, is critically located in the center of the Afro-Syrian Rift and one of the most significant bird migration routes in the world. During every migration season )fall and spring), over 500 million birds from more than 400 species migrate in the skies above us. Thousands remain at the Agamon during the winter, and others choose to nest here during the spring and summer.